If you have seen the trailer for this Patrick Lussier effort then you should pretty much know what to expect. It's another movie in the Grindhouse style, along the lines of Machete or Piranha 3D. The movie was actually shot in 3D rather than the usual cash in retro fit but I saw it in 2D, for what it's worth the 3D does actually add to the movie by all accounts. John Milton (Nic Cage) has escaped from hell in order to track down the cult leader Jonah King (Billy Burke) responsible for the murder of his daughter and the kidnapping of his baby grandchild. Milton is racing against time to prevent the child being sacrificed to Satan by the cult. 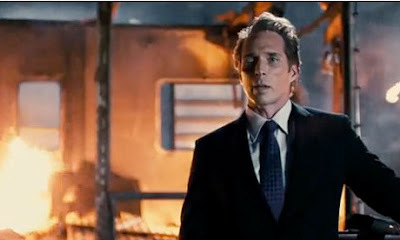 He gets Piper (Amber Heard) involved and they go after King, whilst being pursued by The Accountant (William Fichtner) sent to take Milton back to the depths of hell. Of all the attempts to capture the spirit of the 70's grindhouse experience, I don't think any of the ones I have seen have been wholly successful, and I'm afraid Drive angry can be added to the list. While on paper everything is there, the feel of the movie is completely synthetic. 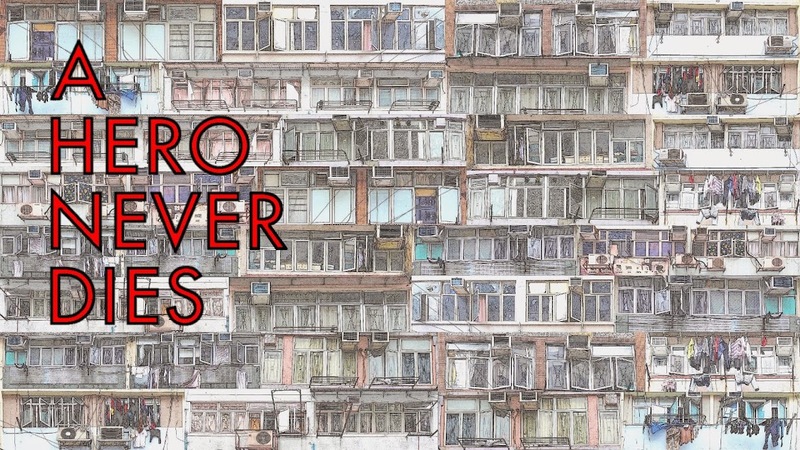 While the film is very abrasive, with plenty of attitude on show it feels like it's trying too hard, it pushes and pushes to the point of enough already. It doesn't help that the copious amount of violence is done with CG, none of which looks particularly good and only enhances the synthetic feel of the movie. It isn't all bad though, the performances of the leads save the movie from being a complete washout. Cage is more subdued than expected in a movie such as this, and seems a little flat. He does however have a couple of the really funny crazy moments he is so renowned for. Amber Heard is excellent as the trashy sidekick, she looks fantastic and has attitude to burn. She also has excellent chemistry with Cage and seeing them together is fun. The best part of the film is William Fichtner's portrayal of the Accountant, the movie lights up every time he's on screen. You can sense how much he's enjoying himself and it's infectious. 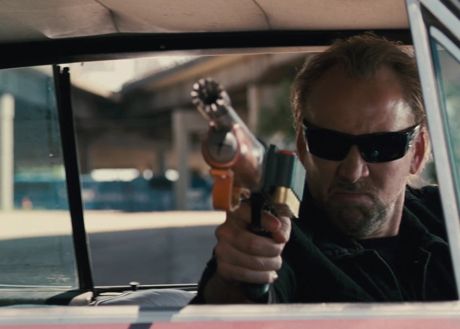 I enjoyed Drive angry for it's performances far more than the film as a whole, which surprised me, I expected to really enjoy it much more having seen the trailer. It lays on far too much cheese and loses focus through trying too hard. It feels padded where it should be leaner and tighter and that's the main problem, it runs around 105 minutes and it should have been under the 90 minute mark. Thought this pretty fun. Also you're right: it should have been 90 minutes or less. But loved the walking away from explosion in slow motion bit. Classic 80s. Ty, Yes that explosion did look cool, I expected to find it to be more fun, as I said it all felt so forced to me. Yeah, with a movie with Devil cults and car chases it should've been more fun but I really couldn't get into this one at all. I agree with you Fichtner and Heard are the highlights but they are the only real people in it who are trying to do something with material that's really not that great in the first place. A. It had all the ingredients to be really fun, it just blew it despite the actors efforts, they definitely seemed to be having more fun than me! I'm still gonna give this one a shot. Even before your review (which is the only one I've read of them film), I had low expectations because of Cage's track record in recent years. Plus, I dig Amber Heard. Aaron, I've really liked Cage in some of his recent stuff, and since you dig Heard you should like it just for her. It just didn't add up to the sum of it's parts for me.